Recycle Glass Week is September 12-18, 2010, which means this is the perfect week to get your kids on board with recycling. 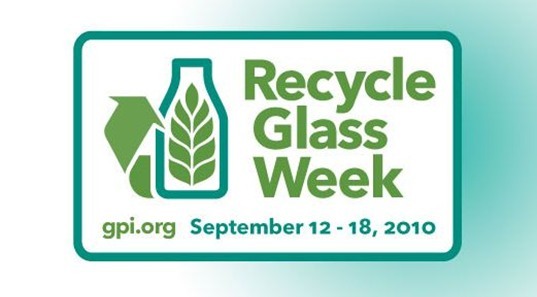 Recycle Glass Week is hosted by The Glass Packaging Institute (GPI) along with some help from Verallia, a glass packaging producer. Together the two organizations have launched a new, fun and educational glass recycling website – Captain Cullet. Captain Cullet features cartoon characters (Captain Cullet and the Little Gob O’ Glass) sharing animated videos, activity books, online contests, quizzes, coloring books and more to help educate elementary school-aged children, teachers, parents and children’s groups about recycling glass. Recycle real glass containers only – check to make sure it’s a bottle or jar; for example ice tea and juice bottles, alcohol bottles and baby food and other food jars. Keep it clean – make sure to keep all non-glass containers in a separate recycling bin. For example; ceramic coffee cups, drinking glasses, mirrors, Pyrex and light bulbs do not belong in the glass recycling bin. Remove metal caps, lids, or neck rings; or ceramic and wire caps from beer bottles, and be sure to rinse the containers with water. Look for the Recycling “G” logo on glass packaging. This logo tells you that a container is made from recycled glass—and can be recycled again and again. If your child is having trouble figuring out where to place glass items, help him create some colorful recycling bin labels with picture reminders and affix them to each recycling bin. Also, have your little one visit the Captain Cullet website – the best ways to instill a good recycling ethic in your child is to make it a family affair and keep it fun. Recycle Glass Week is September 12-18, 2010, which means this is the perfect week to get your kids on board with recycling. Recycle Glass Week is hosted by The Glass Packaging Institute (GPI) along with some help from Verallia, a glass packaging producer. Together the two organizations have launched a new, fun and educational glass recycling website - Captain Cullet. 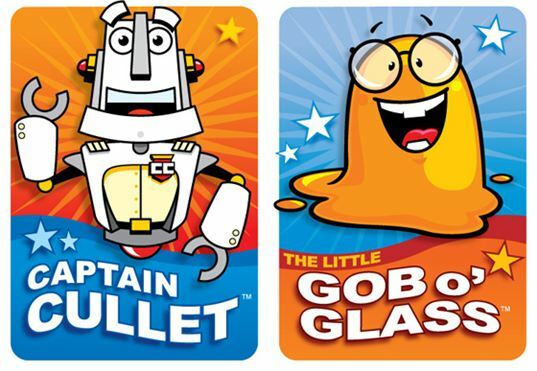 Captain Cullet features cartoon characters (Captain Cullet and the Little Gob O� Glass) sharing animated videos, activity books, online contests, quizzes, coloring books and more to help educate elementary school-aged children, teachers, parents and children's groups about recycling glass.